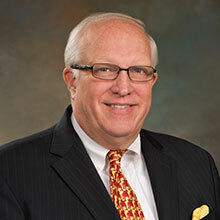 KingSpry is pleased to announce that Attorney John E. Freund, III, Esquire has been appointed Interim Solicitor of the Northampton County General Purpose Authority. The role of the Authority is to promote community and economic development through partnerships with businesses, organizations, local governments and individuals that will impact the economic vitality of Northampton County. Encourage private investment in the County that contributes to increased/retained employment that helps to expand the local tax base through grants and loans. Promote the revitalization of the business districts in the County’s cities and boroughs. Fund projects that improve the public infrastructure, recreation, workforce development, tourism, community services and the arts. Support the development of sustainable communities and a local green economy. Provide bond financing opportunities for business improvement, medical organizations and educational institutions. Mr. Freund is a founding partner of KingSpry. For over 40 years, Mr. Freund has represented public bodies including school districts, municipalities, and special purpose authorities. He has had extensive involvement with economic development projects and as acted as local counsel in dozens of municipal financing projects. “We are delighted that this appointment for the Northampton County General Purpose Authority will allow us to continue our tradition of service supporting economic development in the Lehigh Valley,” Mr. Freund commented. KingSpry is a full service civil law practice serving Pennsylvania in a wide array of legal practice areas. The firm has an active municipal bond and financial practice, and a deep bench of attorneys serving municipal authorities and economic development agencies including AEDC, ACIDA, ANIZA, LVEIC, Lehigh County Housing Authority, Easton Housing Authority, and Lehigh Northampton Transportation Authority.